Making its London premiere after a successful Edinburgh Fringe run, Sinatra: Raw is a one-man cabaret-come-confessional that allows us to meet a warts and all Sinatra. Brasserie Zedel’s cabaret bar Crazy Coqs is transformed into The Purple Room, Palm Springs, California. The year is 1971, and Frank Sinatra is on the verge of retirement. It’s his last intimate performance and the air is tinged with reflection and regrets (too few to mention). With stars such as The Beatles, the Rolling Stones and David Bowie beginning to dominate the charts, Sinatra’s glory years are faded. His ol’ blue eyes are sad, memories weigh heavy on his shoulders. Sinatra pours out his heart – along with a full bottle of Jack Daniels – as the emotionally-charged gig progresses. Frank confesses his love affair with Ava Gardner while still married to Nancy, and all the heartache that followed. You’ll have to go see the show and let Frank tell you himself but his political leanings, rumours he was in bed with the mob and his hatred towards gossip journalists is all touched upon in this compelling biographical journey. All the while peppered with Frank’s back catalogue, the duo also take requests so be prepared to shout out your favourite tune. Hits include Under My Skin, It Was A Very Good Year, That’s Life and a particularly rousing rendition of My Way. Goosebumps guaranteed. If you’re a fan of Sinatra this show shouldn’t disappoint as it offers much more than your average tribute act. If you do just want to hear the hits in quick succession, however, this may not be the gig for you. It’s a slow-paced journey exploring Frank’s past with anecdotes that’ll make you laugh and cry. Richard Shelton sure knows how to croon, and if you close your eyes his voice is a near perfect imitation of the real deal. He triumphs in portraying Sinatra’s flaws as well as his many talents. 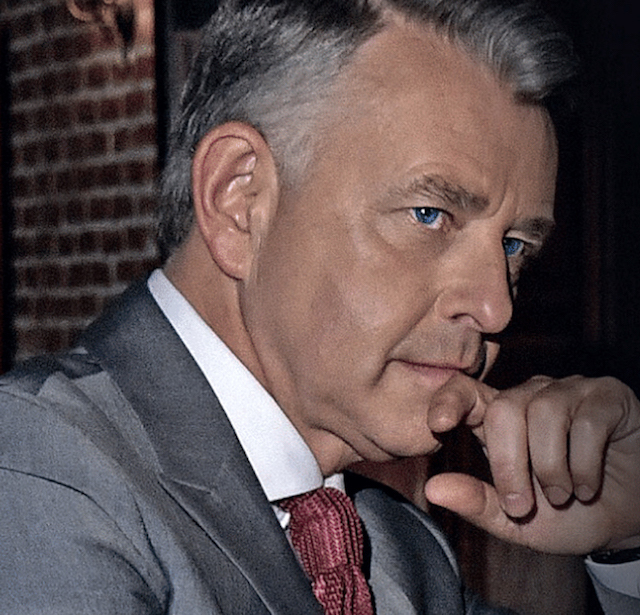 Shelton’s written this play himself and he’s no stranger to the role, having played Frank in hard-hitting West End show, ‘Rat Pack Confidential’. He’s also worked alongside Sinatra’s musicians and produced and starred in ‘A Very Good Year’, celebrating Sinatra’s centenary. They joined him again on recording his debut US album,‘Lost and Found’ at LA’s Capitol Studios, due for release in January 2019. All the hits you want to hear with impressive improvisation on more obscure requests. Watch out for My Way... goosebumps are guaranteed!